Leather mocassin made in Greece. The heel is rubber 1.5 cm ..
Ballerinas of synthetic leather made in Greece. The insole is leather. The heel is rubber with glitt..
Ballerinas of synthetic suede. 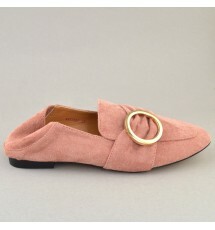 The heel is rubber 1.5 cm ..
Ballerinas made in Greece, of synthetic suede. 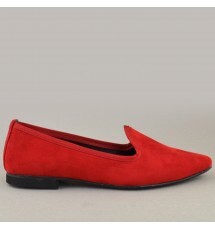 The heel is rubber 1 cm ..
Loafers made of synthetic suede, Louis type that you can wear them like mules also. The heel is..